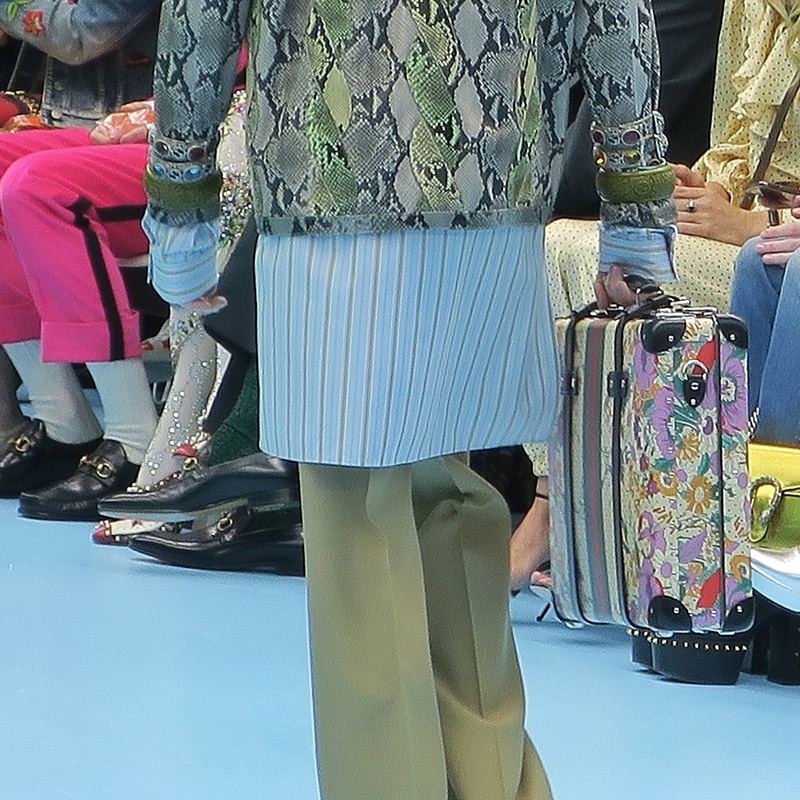 Yesterday’s show at Gucci proved to be an interesting one. 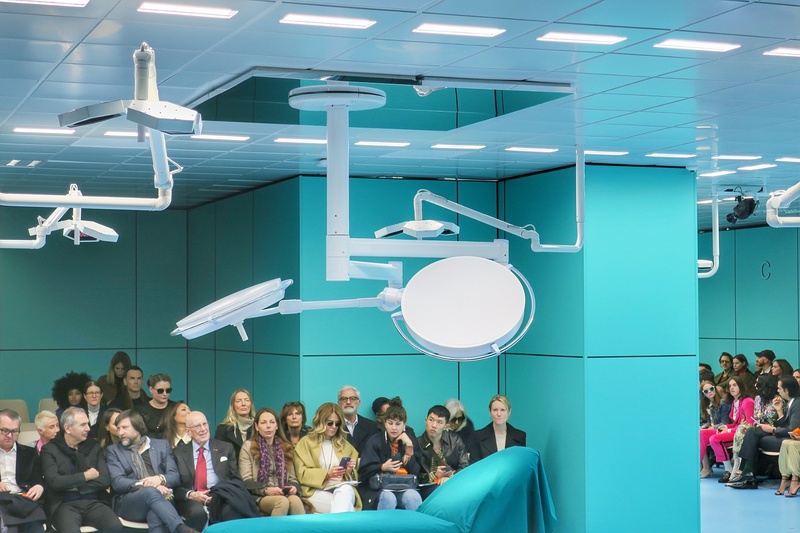 The Gucci hub was transformed into a surgical operating theatre. It was clinical and it honestly freaked me out. 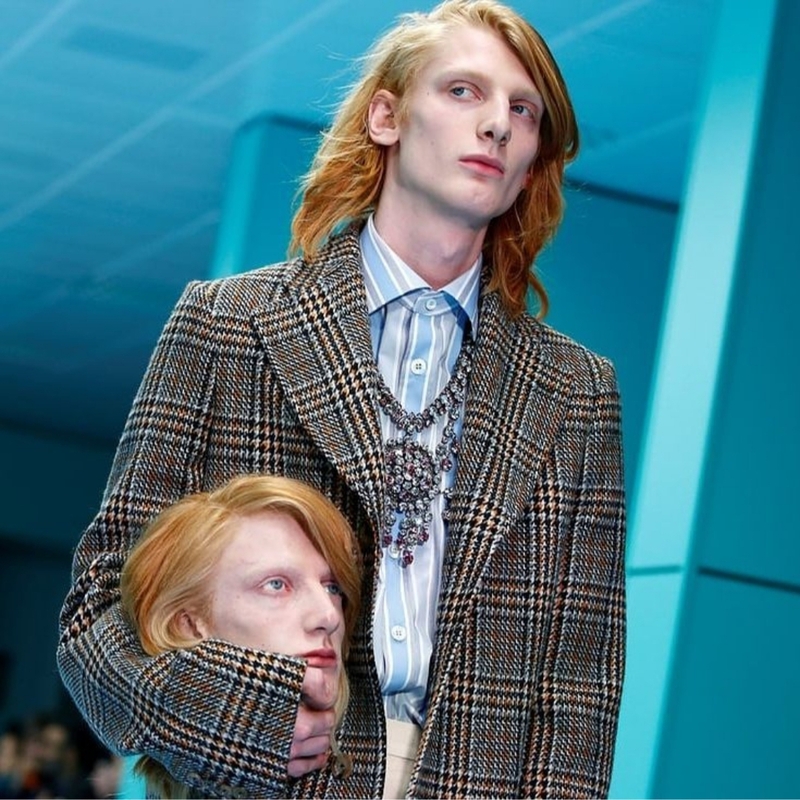 All the more freaky was when some models walked out with severed head (replicas, natch) of their own, and it evoked this sense of surreality, as if I was taking part in the filming of a horror flick for Halloween. 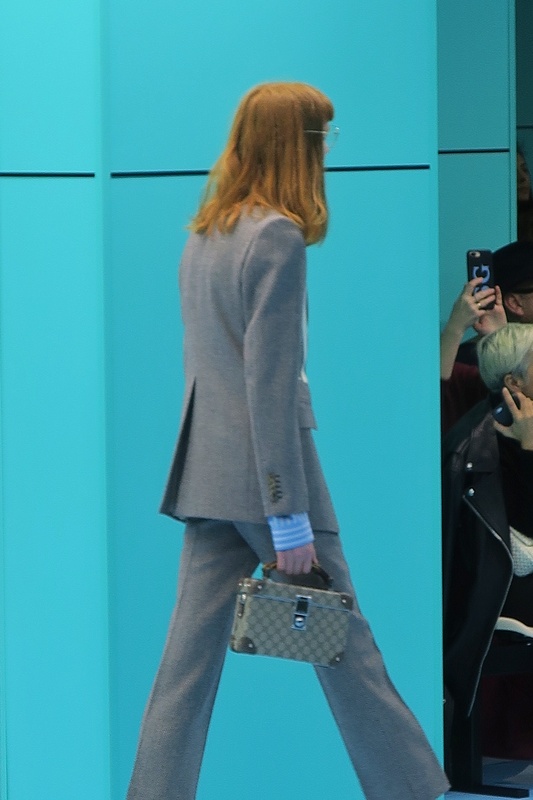 The bags at Gucci continue to be fantastical, marrying traditional shapes that had formed part of the brand in the past, with modern details that are au courant and in keeping with Alessandro’s style. 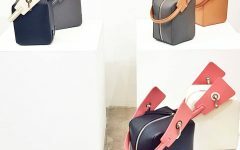 And woah big bags are really here to stay again, no? I do like this ball bag very much!! New shapes always intrigue me. This vintage- inspired monogrammed tote bag with python skin details is slim enough to be carried on the shoulder and close to the body. I thought this was a fun look– it’s a Gucci garment bag over her dress 🙂 The bucket bag really looks like something that came directly from the archives! That said, I’m not liking the shoes although I can see this become a hit. 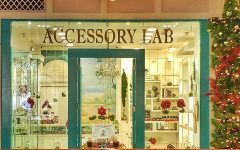 In Manila (back in the days), they’re called “step-ins” and I don’t think I can erase the memory of having seen some ugly ones in my life. 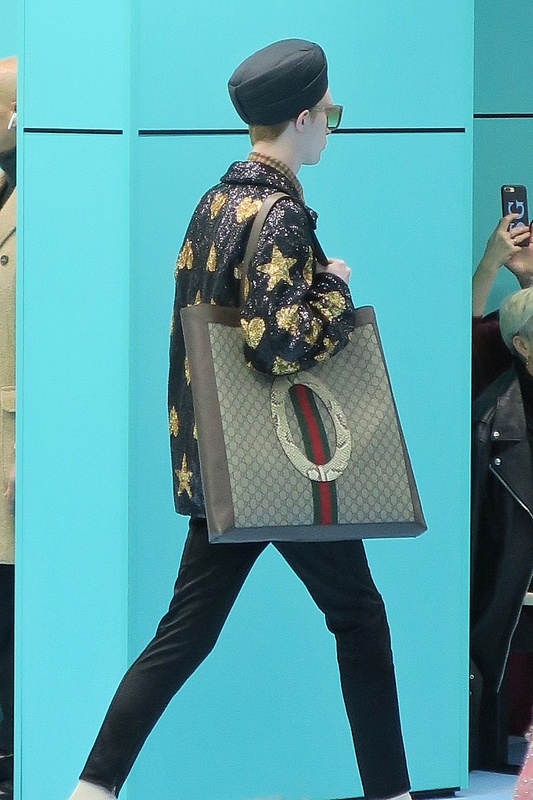 So the association with those old ugly step-ins with these ones from Gucci… lol I can’t help it! 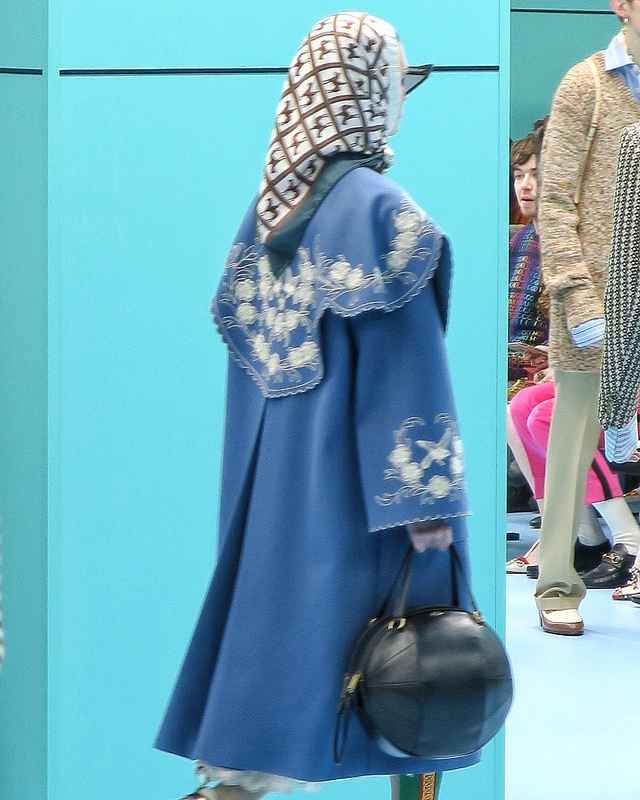 The Gucci FW 2018 show was as expected, a spectacle of sorts. 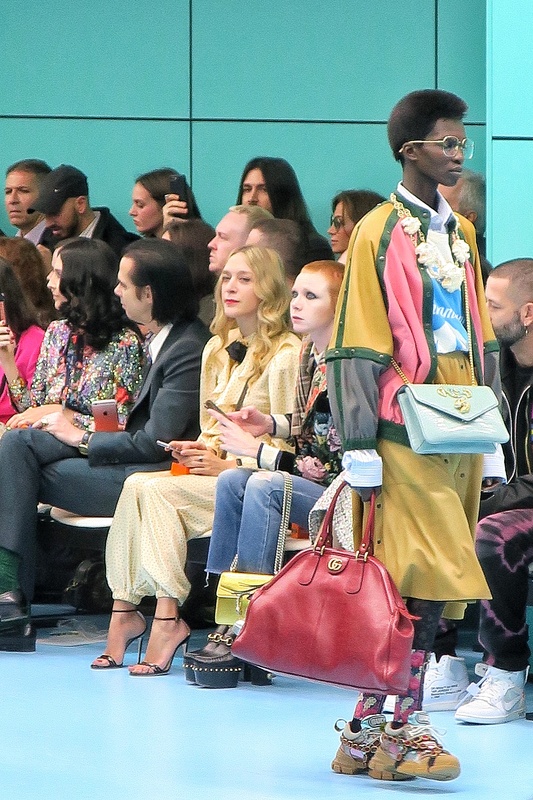 More than anything, I think it cements Alessandro Michele as an incredible stylist who can put together the most unlikely colors, textures, and make it look cool.